and other engagement, portrait section, graduation section and wedding. Please kindly email for more portfolio example if interested in our service. Johor Bahru, Johor, Malaysia, Singapore. 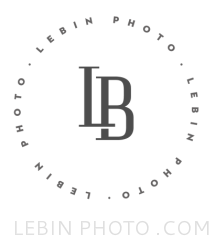 LebinPhoto.com, founded by Le Bin, and managed by Le Bin Photo, from Melbourne has now newly based in Johor Bahru or known as JB, Malaysia. It is a city next to Singapore. Le Bin Photo has provided customization service for exclusive customer in several area such as Johor Bahru, Melbourne, and Singapore. And, Le Bin Photo has planning to provide even more services in similar region including Kuala Lumpur, Desaru, Pontian, Kukup, Sydney, Mornington, Dendenong range, Great Ocean Road, Kota Tinggi, Auckland, Christchurch and even more location. Le Bin Photo had create L-signature Wedding to provide Creative, Stylish, Unique, Special Wedding Photograph. L-Signature.com will be focus more two main section. Actual Day Wedding Photo Service, and Pre-wedding/ Engagement section service. We sell prints, images and album. Contact US now to know more! Keywords: Photography, professional, commercial, advertising, engineering, civil, portraiture, portraits, corporate, construction, industry, industrial, building, architecture, Melbourne, Australia, built environment, construction site, high rise building, high-rise, interior, exterior, contemporary, people, events, Johor Bahru, Johor, Malaysia, Singapore. Cooperate Headshots.